POP 2! 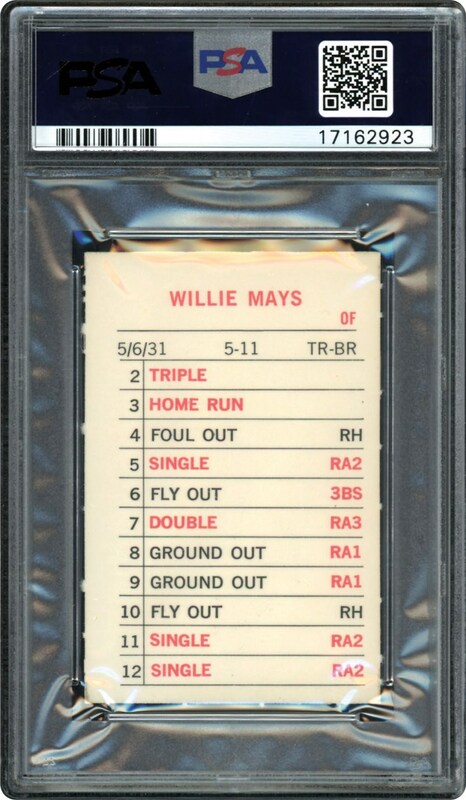 This 1972 Milton Bradley card is one of 378 cards in the set. 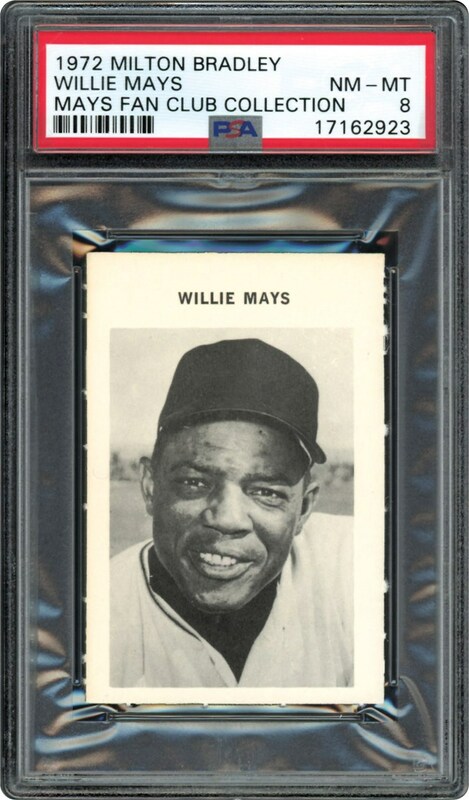 Used for a Board Game, this card of Willie Mays has his Team Logo airbrushed away. The back has Board Game Situations and his name. Offered in a SA 8 NM-MT holder. POP 2 with nothing grading higher.